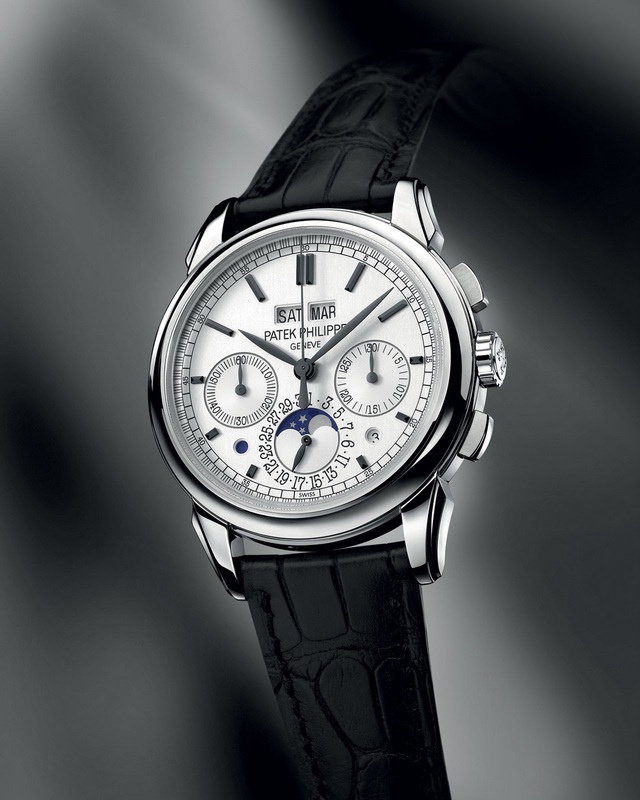 Patek Philippe is expanding its classic chronograph collection with the introduction of its very latest perpetual calendar model, a complication that has always occupied a place of honour in the brand’s collections. This new flagship of haute horlogerie, the Réf. 5270, is fitted with a unique column wheel chronograph movement. The day and month appear in a double window at 12 o’clock, with a hand indicating the date around the moon phase. The leap year is displayed in a small round window at 4:30 opposite a matching window for the day/night display at 7:30. Like all the brand’s grand complications, it has two interchangeable backs: one in sapphire crystal that reveals the complexity of the movement and the elegance of its finishing, the other, a white gold solid back that can be personalized with a dedication or an engraving.